This is a rectangular Knickerbocker Brew porcelain sign. This particular Knickerbocker Brew sign is white with red and blue text. 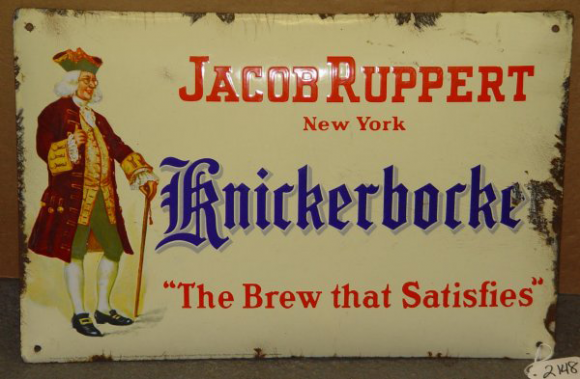 It reads, “Jacob Ruppert, New York, Knickerbocker, The Brew That Satisfies” and features a colorful colonial man holding a cane and wearing a green hat on the left side of the sign.